FK Lowry have successfully completed another Energy Recovery Facilty (ERF) Project near Bristol. 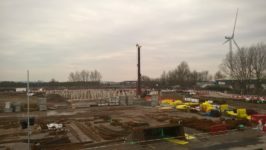 The 32 Week Piling Project, incorporating both CFA Piles and Driven Piles, was successfully delivered for Clugston Construction Ltd.
FK Lowry were sub-contracted to install 2,737 No. Piles. This consisted of 1647 No. 600mm Diameter and 396 No. 450mm Diameter Continuous Flight Auger (CFA) Piles to depths up to 20m. FK Lowry were also able to value engineer the project to utilise 694 No. Driven Precast Concrete Piles consisting of 185 No. 270mm Sq. Precast and 509 No. 355mm Dq. 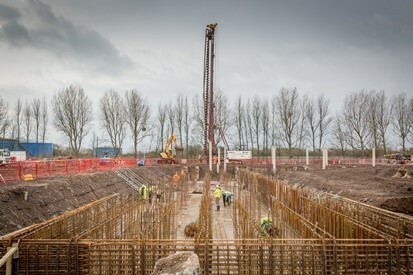 Precast Driven Piles to depths up to 19m. 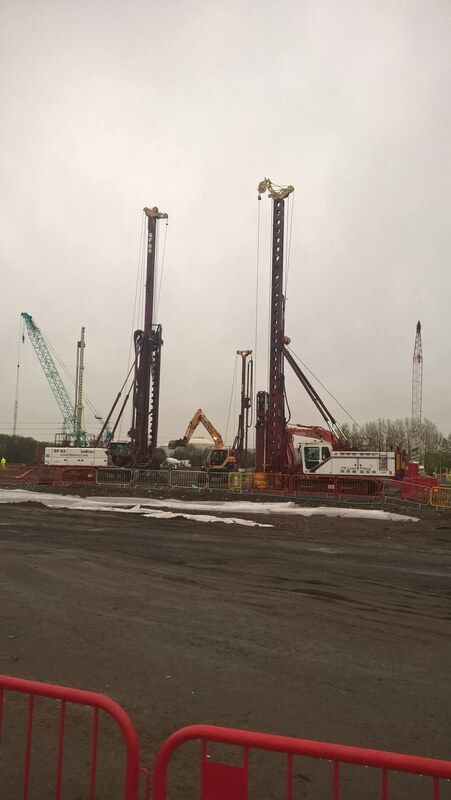 FK Lowry deployed their Soilmec SR-75 CFA Piling Rigs and Juntann PMx-20 Driven Piling Rigs to deliver the project. FK Lowry’s Contracts Engineer Martin McKinstry explains, “The Avonmouth scheme was a real challenge. However, the success of the scheme was down to an open, collaborative relationship with our Client, Clugston. 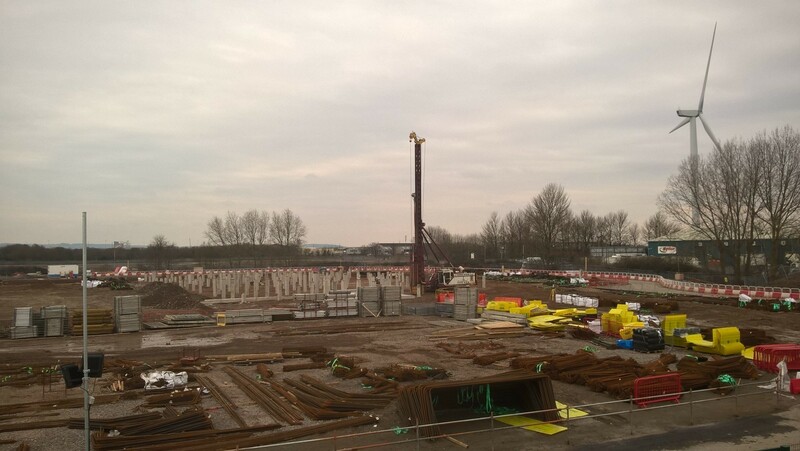 With them, we ensured sectional completion of certain areas whilst the Client ensured we had follow on works available by preparing piling platforms and working ahead of us at all times. This ensured full continuity of our works without any delays been incurred. 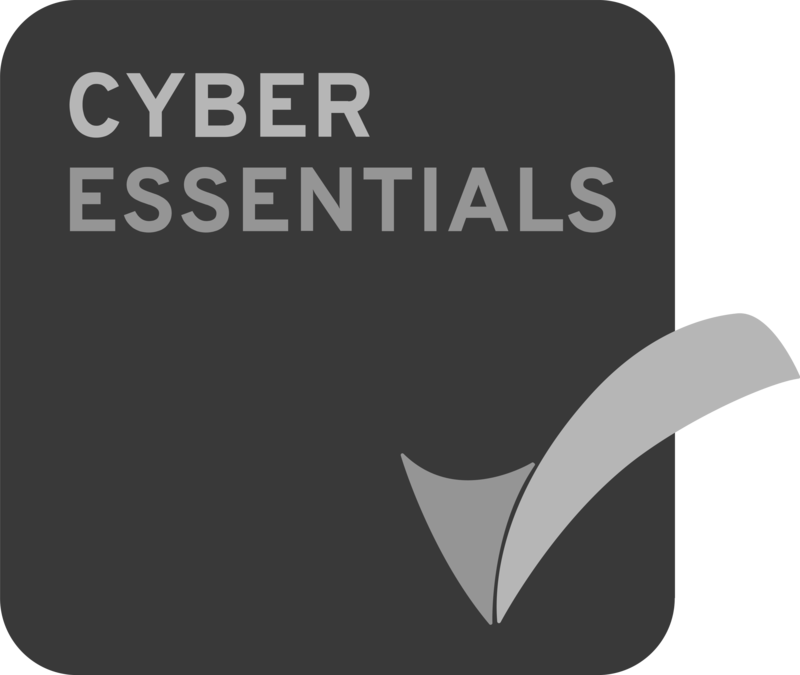 It was a real team effort and we were extremely pleased with how the project went”. 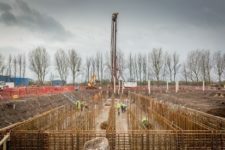 FK Lowry have successfully completed a number of Energy Recovery Facility Schemes across Ireland the UK by undertaking Piling and Ground Engineering Schemes utilising a full range of piling techniques and disciplines.